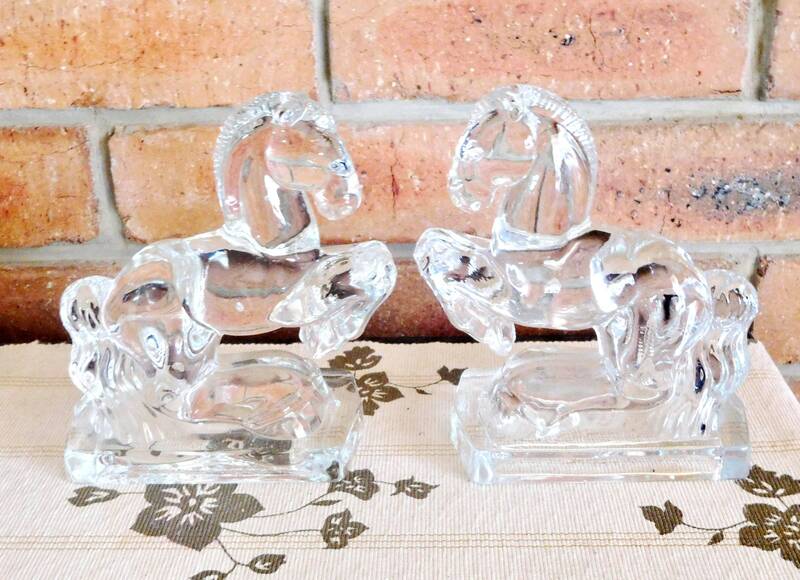 New Martinsville 1940s heavy crystal glass bookends, rearing horses, mid century glassware in brilliant, pristine condition. Fabulous movie or theatre props, very evocative of the Art Deco era. 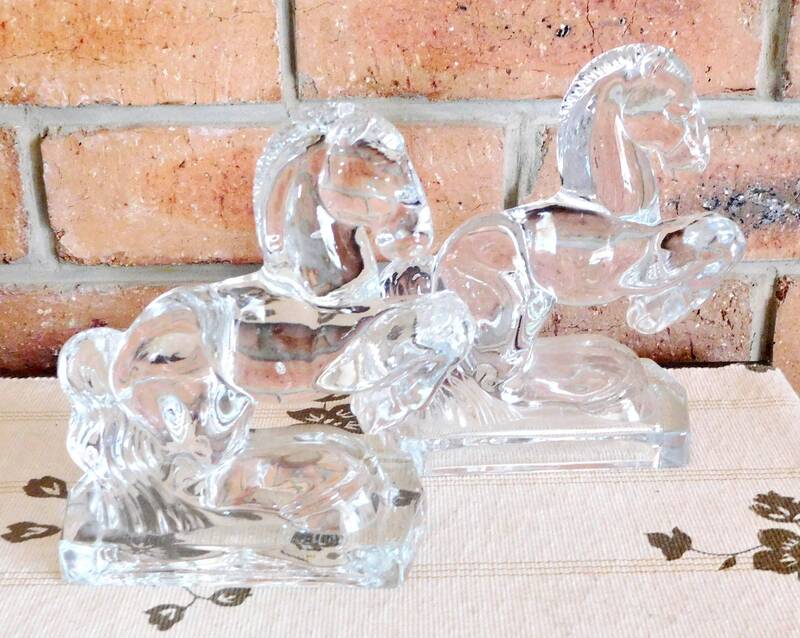 Postage is high due to the considerable weight of these beautiful pieces, however pick up (details below) is welcomed and encouraged.